An American actress, television and theatre actress, Jessica Lange is a recipient of several awards including 3 Emmy Awards and 5 Golden Globe Awards. She is best known for her roles in King Kong, Tootsie, Grey Gardens and American Horror Story. Jessica Lange is the second actress in the history of Oscars to win ‘Best Actress’ after she won ‘Best Supporting Actress.’ The first actress was Meryl Streep, and this incident never happens for the next 20 years. Jessica Lange graduated from Cloquet High School and earned a scholarship to study art and photography at the University of Minnesota. Jessica’s father, Albert John Lange was a teacher and touring salesman and her mother Dorothy Florence was a home-maker. As the family was moving almost all the time, Jessie noted that they lived like gypsies. 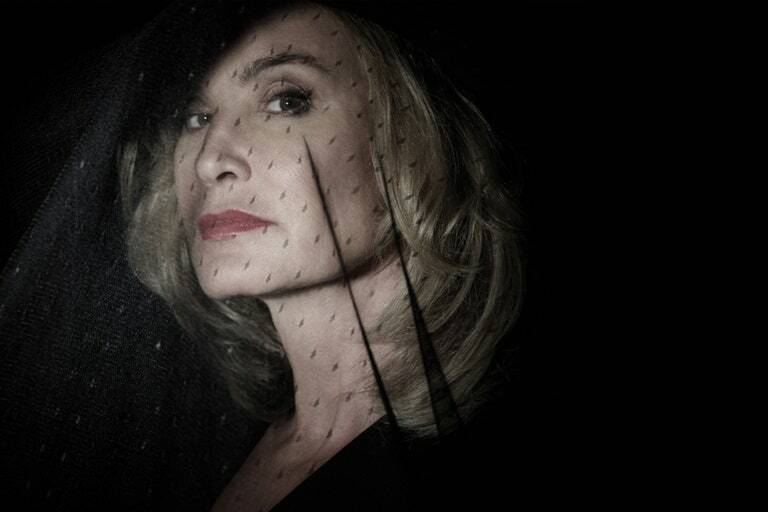 The estimated net worth of Jessica Lange is $15 Million USD. She is considered to have gotten her break when working as a model and she was discovered by a film producer. Lange is also known for her philanthropy work and is an avid supporter of UNICEF and has also served as a foster parent. She met Paco Grando, a Spanish photographer and they started to date. She dropped out and traveled throughout the US and Europe. They traveled and lived in Grande’s van. They got married in Minnesota in 1971 and moved to New York. Grande continued to work on film projects and Jessie was inspired by French cinema, decided to study mime. Their marriage started to fall apart when Jessica moved to Paris to study mime. Grande left Jessica Lange in New York and the couple got divorced in 1981. Jessica Lange started to work as a waitress and part-time model. After failing to impress the audience with her performance in King Kong, she met a Russian Dancer, Mikhail Baryshnikov and they started to date. They have a daughter together “Aleksandra “Shura” Baryshnikov. In 1982, Jessica began a relationship with a play writer and actor Sam Shepard. They have two children together Hannah Jane and Samuel. The couple separated in 2009 and their split was announced publicly in 2011. According to some rumors, she was in a relationship with her American Horror Story Co-star Sarah Paulson which was denied by the tabloids themselves. How did Matthew McConaughey first met his wife? Jessica Lange has always been an ultimate Hollywood beauty since her first film King Kong hit the screens. Lange has spent almost four decades on the red carpet and has teen every one as an opportunity to show off her impeccable style. Jessica is feisty and stylish. Her dressing is a kind of a rebel but very elegant. She was announced to be the face of Marc Jacobs’ beauty range. Alongside fellow actress Charlotte Rampling who’s reprising Nars, the fashion industry is embracing mature models. Jessica Lange discovered by a film producer name Dino De Laurentiis and was soon a part-time model for the Wilhelmina modeling agency. She made her debut in 1976 remake of 1993 action-adventure classic King Kong. Even though she failed to impress the audience, Jessica won her first Golden Globe for her spectacular performance on screen in King Kong. In 1979, Bob Fosse wrote a part especially for his dear friend Jessica Lange in his autobiographical fit, All The Jazz. Jessica’s role faced criticism by the audience and the critics but it did bring her some attention in the industry. Jessica’s film, Frances Farmer which came out in 1982, earned her some great appreciation from critics and audience. France turns out to be a grueling` experience for Jessica as she was tired both physically and mentally after portrayal as a lead in the movie so she decided to take some light roles. Later, she became widely know-able face for her Oscar-winning roles in Tootsie and Blue Sky. She also won an Emmy for her ground-breaking performance in Grey Gardens in which she portrayed the role of Jacqueline Kennedy’s Onassis’ famed aunt, Big Edie. In 1984, she made her debut on television and in 1992, she acted in a television series O Pioneers!. She got a role in the movie in 2012, The Vow alongside, Channing Tatum and Rachel McAdams. In 2011, she played a part in the anthology series American Horror Story. She won her second Dorian Award for Best Tv Performance of the Year She returned back in her role for the second and third season as well. Jessica made her Broadway (London Stage) debut in 1996 as Blanche DuBois in a play called, A Streetcar Named Desire. Fan of American Horror Story, then you would like to know more about Evan Peters. “A Streetcar Named Desire”, is a play written in 1947 by Tennessee Williams. The play opened on Broadway in Ethel Barrymore Theatre. A highly publicized revival of the play happened in 1992 which Jessica Lange was part of along with Alec Baldwin. It is a memory play by Tennessee Willians that catapulted William from obscurity to fame. The play has strong autobiographical elements. Jessica was a part of 2005 adaption of the play on Broadway at Ethel Barrymore Theatre. She played Amanda Wingfield. In addition to her career, the actress has published tow photography books 50 Photographs and In Mexico. She also released a book It’s About a Little Bird which is a children’s picture book in 2013. She follows Buddhism and is a vegetarian. In an interview, she revealed that she suffered from depression. Benazir Bhutto is one of the greatest fans of Jessica Lange. Jessica Lange is a Goodwill Ambassador for the UNICEF, specializing in the HIV/AIDS epidemic in the Democratic Republic of the Congo and in spreading awareness of the disease in Russia. She has also been a public critic of former US President George.W. Bush and has been a human rights support of the Buddhist monks in Nepal. Jessica fostered a Romanian child with disabilities in the early 1990s. I don’t know How I end up here, but I don’t regret it. Great Work, Great Appearance! !